Brilliant Lies & Haggis Sandwich - Kapiti Playhouse Inc.
We’ve got a great line up for late March and early April. Kapiti Playhouse’s first production of the year, Brilliant Lies, opens on April 3rd and runs through to the 13th. More information is available from the Brilliant Lies page. Before Brilliant Lies opens, however, we’re pleased to announce a new concert – Haggis Sandwich. 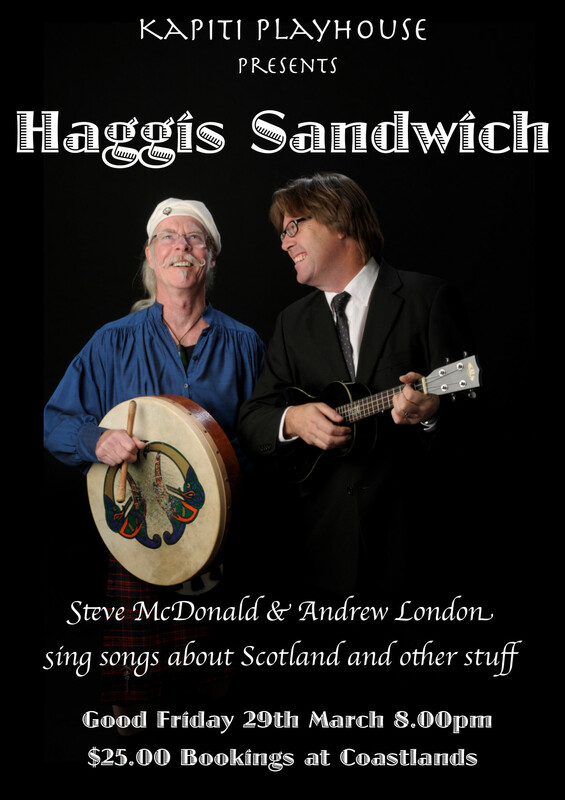 This time around Andrew London is joined by Steve McDonald to “sing songs about Scotland and other stuff”. The concert is on Good Friday (29th March) and tickets cost just $25 available from Coastlands. The last concert was a sell out so we advise you get in early to secure your tickets!